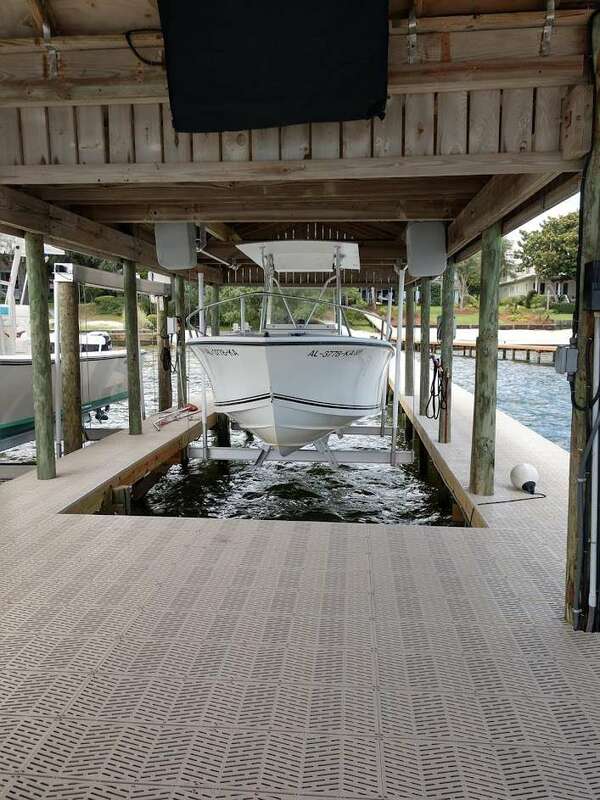 Dock and Decks is one of the Gulf Shores and Orange Beach areas premier deck, dock and marine contractors. 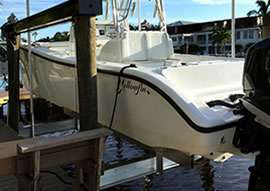 Whether you need repairs, updating or a complete replacement; dock and decks is here to serve you. In business since 1996; we use the best products available; along with expert craftsmanship to build long lasting dock and decks. We look forward to creating a safe and enjoyable dock or deck for your family. We have models for you to look at to get ideas, but essentially all of our docks are built especially for you. It’s never too early to protect your wood, but it could be too late. 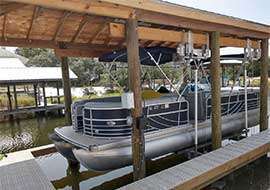 Dock and Decks has a highly experienced and knowledgeable boat lift team. 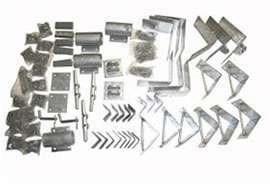 Our galvanized steel and wood dock hardware will give you years of premium use! Dock and Decks 15 years experience years keeping healthy pilings protected from marine borers that will damage your wood pilings requiring costly repair or replacement of them. 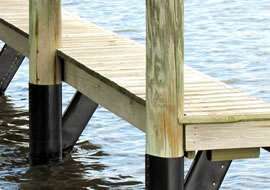 We have services to protect dock, pier, lift and marina pilings. We also offer steel & concrete corrosion protection and waterproofing solutions. Simply call our team anytime!.